Amalia Mesa-Bains, artist, educator and cultural critic who was instrumental in the founding of the Department of Visual and Public Art at CSUMB, gave a keynote address in which she offered words of encouragement to the graduates. 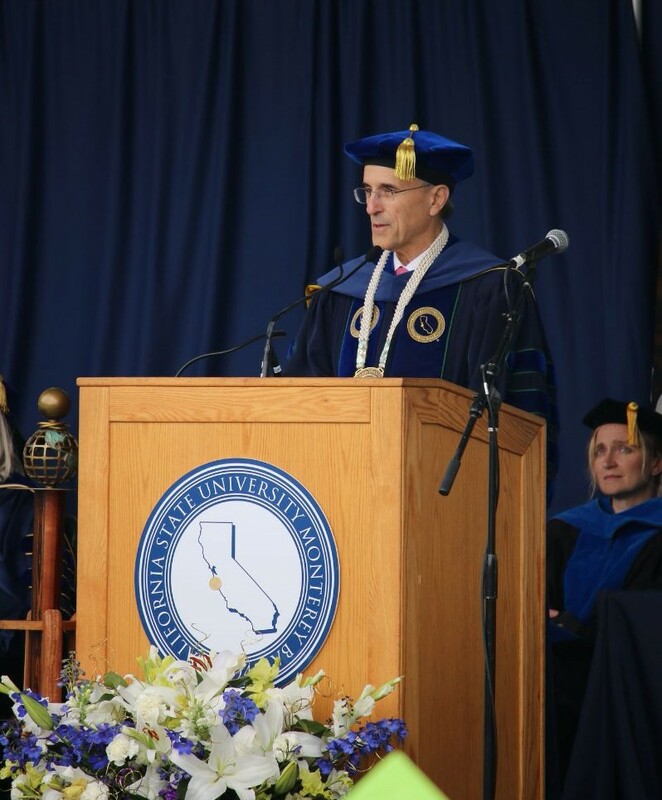 CSUMB President Eduardo M. Ochoa addresses the class of 2018. Mesa-Bains sent one final message to graduates, encouraging them to embrace the struggles in life with a quote by Cornel West, "It's not hope that gets people engaged in struggle. It's being engaged in struggle that gives people hope." 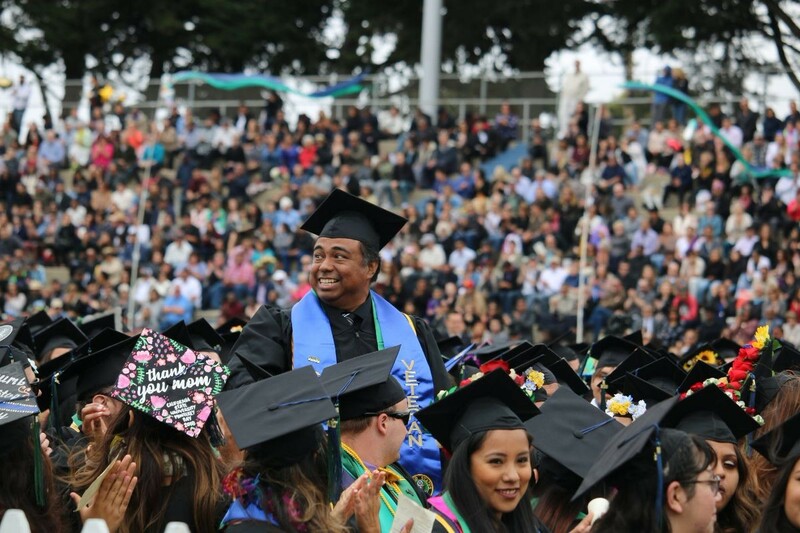 CSUMB President Eduardo M. Ochoa also urged the class of 2018 that their quest for knowledge and education does not stop here. “To succeed, you must be lifelong learners. In this era of accelerating technological change, many of you will move into careers that do not yet exist. We are confident that your years at CSUMB have prepared you to adapt to new circumstances,” said Ochoa. For specific numbers about the ceremony or degrees conferred please visit our Commencement 2018 By the Numbers page. Photos from the event are available at the CSUMB Flickr Page.